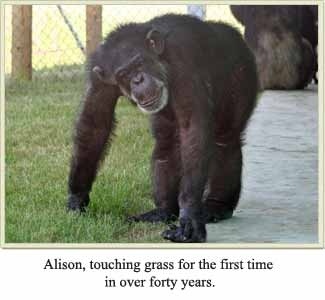 I just took down the post I put up this morning because I remembered I wanted to post about Save the Chimps. I started donating to them last year, but this year the Arcus Foundation is matching donations up to $500,000 up until December 31st. So, if you give $100 it’s like giving $200, but it’s only for a couple more days. If you’d like to donate, click here. I read your blog all the time and just really wanted to wish you (and the cats) all the best for the new year. Thank you, Diana! I should post a new year’s post tomorrow, speaking of new years.